Fashion can be a slippery slope. Most looks have a short shelf life from season to season. That’s why putting an emphasis on classic pieces is the smart (and economical) route to looking your best. 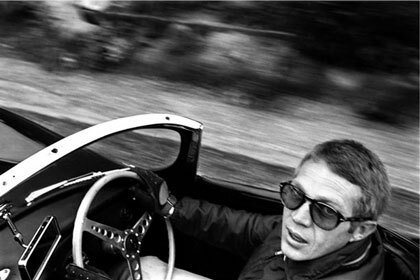 American icons like Steve McQueen knew the value of having a few quality accessories in their wardrobe. He could make jeans and a T-shirt look ruggedly cool, yet sophisticated, just by adding a pair of high-end sunglasses, a fine watch, or stylish shoes to his overall look. Here, we’ve compiled a list of fashion staples that even the “The King of Cool” McQueen would approve of. Add these to your closet and rest easy in knowing that they will be your go-to pieces for years to come. clarksoriginals.com Some styles resonate so well with consumers that they remain virtually unchanged for decades. Such is the case for Clarks’ iconic Desert Boots. Introduced in the 1950s, these crepe-soled ankle boots have become the go-to footwear for generations of casually cool men. In fact, McQueen wore a pair in the legendary film The Great Escape — as did George Harrison on the cover of Abby Road. persol.com Most of us have owned—and lost—an endless stream of cheap sunglasses over the years. But every guy owes it to himself to have one pair of high-quality shades in his repertoire of accessories. After all, this is an item you’ll wear throughout the year, regardless of the season. These hand-crafted sunglasses combine quality, comfort, and a deep-rooted sense of style. McQueen wore a pair of Persols in 1968’s The Thomas Crown Affair and went on to make them his signature eyewear off the set as well. shoptissot.com Like a quality pair of sunglasses, a well-made watch is another item worth investing in. Sure, your cell phone can tell you the time—but nothing beats the feeling of a fine watch on your wrist. And you don’t have to have to have a Rolex salary to achieve this goal. Swiss maker Tissot has reintroduced its classic line of Visodate watches this year. These vintage-inspired tickers feature a stainless steel/PVD coated case, A sapphire crystal, and a Swiss ETA 2836-2 automatic movement. fuoconero.com Adventurous and timeless—with a dash of sophistication—this is the Indiana Jones of belts. Made of 100% Italian leather, this finely-crafted Bruno Magli piece compliments a wide range of looks. Whether you’re wearing jeans or khakis, this belt will take your style to the next level. fredperry.com Named after the legendary tennis great, the Fred Perry line of clothing and accessories harkens back to time when men were sticklers for fashion, including something as simple as a weekend bag. The Holdall is perfect as a carry-on or for short trips—and the durable PVC material looks remarkably like leather (at a fraction of the price).